The Boston Red Sox win game one of the world series 8 to 4. It was 53 degrees at first pitch and then it dropped into the mid-40s by the end of the game. This was the coldest game for Los Angeles this season, very different from last year’s world series, when it was 103 degrees for the opener at Dodger Stadium against Houston. Clayton Kershaw was the starting pitcher for the Dodgers, he gave up 4 runs in the first inning. Mookie Betts lined a single that set up a two-run first inning. Betts says, “It was important for us to score first and kind of put some pressure on them,” Kershaw says. 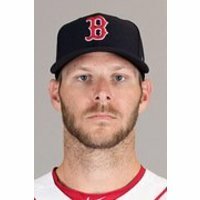 Chris Sale was the starting pitcher for the Red Sox. It was a 4-3 game as late as the seventh inning. Then, Eduardo Nunez broke it open with a three-run pinch-hit home run. Many of my peers thought, that this game was one of the best World Series first games that they have ever watched.